In the neighborhood I live in, there is one street that has been blocked off for at least 20 years or so. 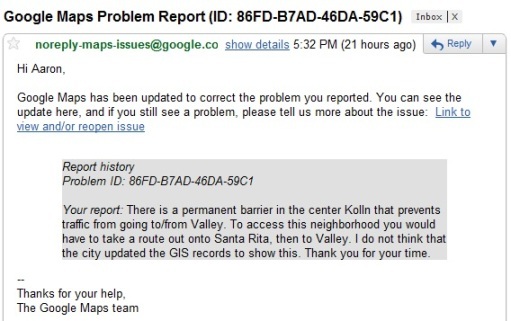 Unfortunately my local city hasn't updated the map GIS data properly, so map software like Google maps and most car GPS units try to route you directly through a solid wall. 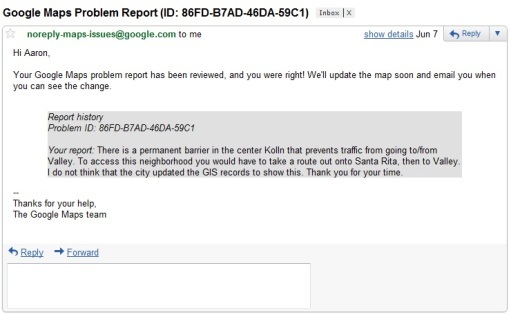 I was logged into Google services at the time and saw that there was an option to submit an error report on routing data. They actually responded in a timely manner. Not so bad for a service that does not cost anything for the end user. 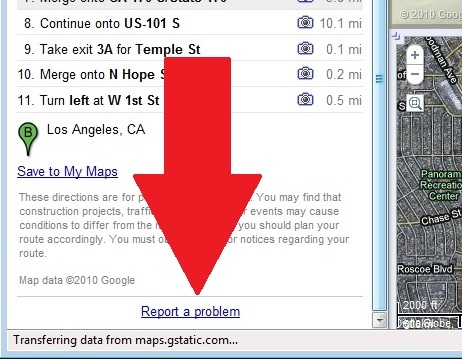 While automated mapping technologies are great, it is always good to have some sort of backup whether it be paper or map data from another source. 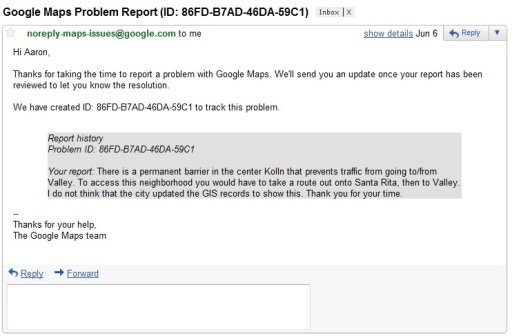 Google completed their map update. Yay! A company that actually listens to complaints? That is rare these days.